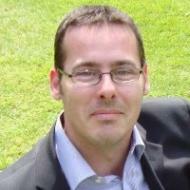 David is a Principal Environmental Consultant based in Surrey, working for Mayer Brown Ltd. He specialises in air quality and noise assessments, and manages a multi-disciplinary team of environmental consultants on a range of development projects. His role allows him to deliver a wide variety of projects, and includes responsibilities of mentoring, financial and strategic support and acting as an expert witness. Feeling ready to leave the public sector, David transitioned to his current consultancy in early 2013. He enjoys the scope and variety of projects wihtin his current role, which vary from small developments of a couple of houses to projects with over 1000 units. He is currently working on a housing development in Croydon, and is relishing the opportunity to engage with the local community as they raise concerns over the affect the development will have on local pollution. He feels the added scrutiny and pressure allows him to produce his best work and enjoys the process of developing the project. David joined both the IAQM and IES as he feels the Institutions allow him to keep up with sector-related affairs. "Being a member of the Institute allows me to keep my finger on the pulse of what's going on." David became a Chartered Envrionmentalist after attending one of the popular 'Cenv-in-a-Day' workshops. In the future he hopes to grow and increase the role Air Quality within his company.